I love these mashed potatoes! I love potatoes. And aren’t mashed potatoes just divine? I have vamped mine up over time to make them tastier as time goes by. There are several influences that have given me ideas over the years that are integrated into this recipe, some of which are just my own experiments. 1) AQ Chicken Restaurant’s Mashed Potatoes—These mashed potatoes at the two-of-their-kind restaurants in Northwest Arkansas serve their mashed potatoes with the skins on. When I noticed this more than ten years ago, I was excited to try it. I grew up peeling potatoes alongside with my mom, and I hated it. I was delighted to discover that there might be another option. If the skins on the potatoes are relatively smooth, and you brush them clean, then they do fine when cooked along with the potatoes. Just cut off the bad spots, scrub the skins, rinse, and you’re good to go! Plus, much of the nutrition is in the skins, so that's a plus! 2) Cooking with Friends by Amy Lyles Wilson: Inspired by the popular situation comedy on NBC, Monica’s mashed potatoes are called, “Mashed Potatoes for the Broken Hearted.” While my recipe differs from hers, I was inspired by the title, by the go-ahead that it was okay for my mashed potatoes to be as decadent as possible. 3) My love of garlic—Of course, I will add garlic to this recipe. Of course, of course, of course. But, of course, that is optional for you. Okay, let’s move on to the recipe. If you love mashed potatoes, then you’ll love this recipe. What to you think of this recipe? Potatoes are versatile and inexpensive. 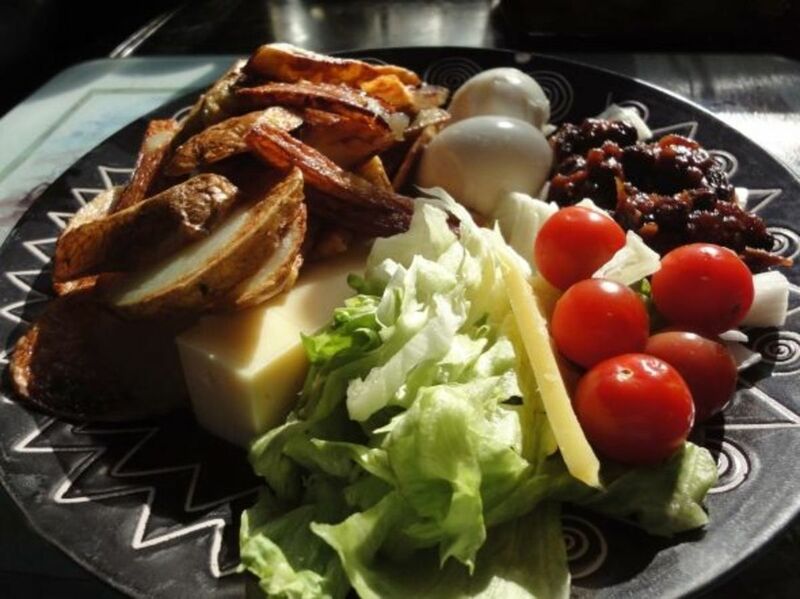 You can make lots of easy dishes from potatoes. Here are some favorite and easy potato recipes. Cut off bad spots on potatoes. Do not skin! Scrub potatoes with brush and then rinse. Cut into several pieces and put in pan. Cover with water and bring to a boil. Boil for about 20 minutes or until soft. Drain water off potatoes. Mash potatoes with masher. I don’t use an electric mixer because I like more of a potato texture (with a few chunks, perhaps) than that smooth whipped taste. You decide for yourself and your family on that. Add ½ stick butter while potatoes are still hot. Mix in with masher. Add garlic, sour cream and milk. Add pepper and salt to taste. I prefer cracked pepper and sea salt. Both have more distinct flavors. You may want to add or subtract to this recipe. 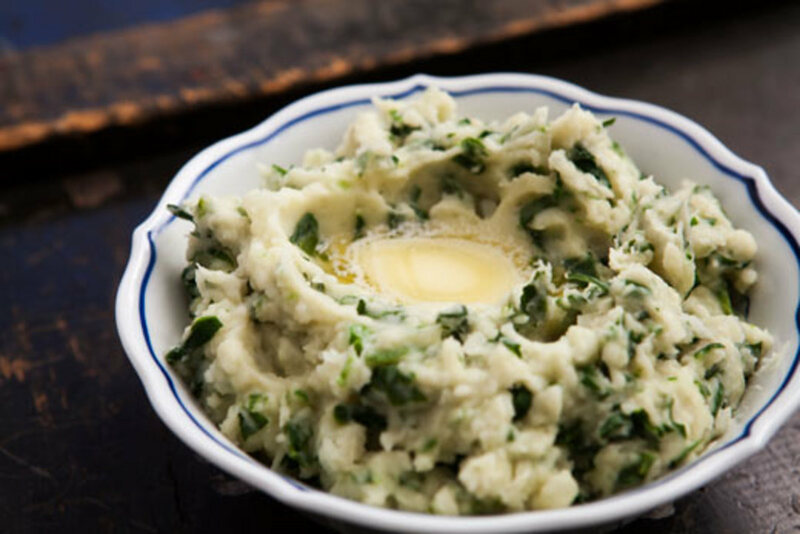 Whether you add more or less garlic, more or less butter, I think you will love this mashed potatoes recipe. It doesn't have a lot of ingredients, but it is so good! Interesting note: I remember my mom saving the potato juice into a cup when draining the potatoes. I didn't realize why until I was an adult, but now I know. We didn't have a lot of money, and there were four of us kids. It was much cheaper to put the flavored potato water back into the potatoes than to add milk, sour cream, or even butter, which I'm sure we didn't have much of, but most likely only a dab of margarine. I went by the same practice many times before I realized why she had done what she did--and I decided to experiment with more (yeah, more expensive) ingredients. 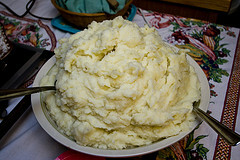 My mom's mashed potatoes were awesome! 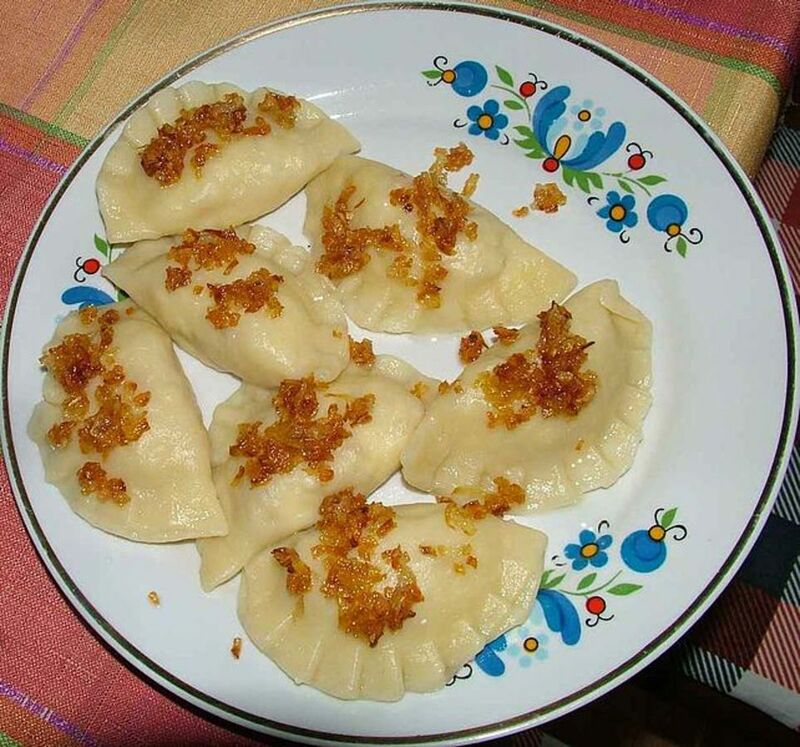 And I could eat them simply with potato flavored water poured back in, with a little margarine, salt, and pepper. But it's fun to add some creamy decadence to the mix, as well! Serves: 4-6 people? My mother always said to use one potato per person, which seems to turn out about right. Some people may eat more than others, though! I love potatoes AND stuffing! I love stuffing and dressing, whether for Thanksgiving or anytime. My mom always made great chicken or turkey dressing, but since then I've found a great way to make a tasty stuffing out of a box. Add these ingredients to the boxed instant stuffing. Who says a person has to choose between mashed potatoes or stuffing or dressing? I think that mashed potatoes and stuffing is a great taste sensation! Sometimes I make both items throughout the year. My recommendation is to make both recipes (preferably mine!) to experience how good both are, and how both mix in with other recipes. Glo--Sour cream in mashed potatoes is scrumptious! Hope you tried it! I'm tempted to try using sour cream this Thanksgiving.I've learn not to mash them too much.Happy Thanksgiving To All! donmanual--Cheese is ALWAYS welcome! Me encanta el queso! It's tasty! Also I would put a little bit of cheese. Movie Master--I love these potatoes! Yum! Makes me want some, too! thanks for coming by! Hi Victoria, these mashed potatoes sound absolutely divine! Looking forward to trying them, soured cream oh so yummy! carol--Make those potatoes. I love them! And they're so easy if you leave the skins on! Victoria Lynn: I am salivating reading this recipe. I want to make the potatoes now. Delicious and I think I like them with the skins..you know that nutrition angle. Excellent..Thumbs up. 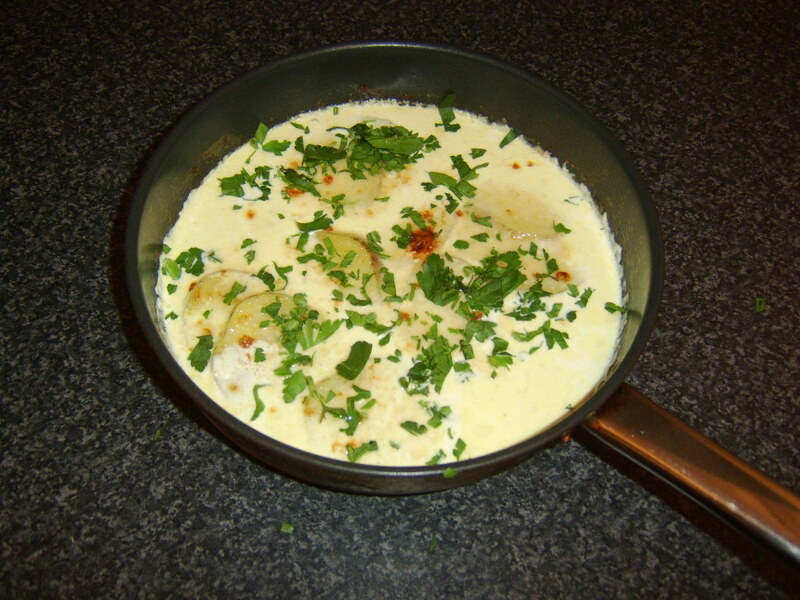 Audrey--The sour cream makes the potatoes very creamy. Yum-yum! Yum! I will have to try adding sour cream--what a great idea! You're welcome, vespawoolf! Thanks so much for your comments! Mashed potatoes happen to be one of my favorite foods and these look fabulous! I also agree that stuffing and mashed potatoes go well together. Thank you for sharing your delicious recipe. TMHughes--thanks! And I may have to grow my own garlic! Awesome recipe! Check out my hub on growing garlic. ContentThreads--Thanks for the great comments. I might make something similar to your parantha with leftover mashed potatoes. Mix them with egg and flour and fry them to make some kind of bread cakes. My mom always did that, anyway. I love potatoes. So much to do with them. Ginger-garlic paste sounds good. I've never tried it! Good to see you again! That's the best recipe when you have little time. I am in love with potatoes too just like you Victoria. Here we stuff this in flour and make round stuffed bread or "parantha" that's what we call it. Anyway I will try this too, I always add ginger-garlic paste to my food, the fragrance is wonderful. Thanks, maxravi! Hope you love them! jimcrowthers--Great comments! I like your style. Yes, the microwave is good to soften up potatoes. I've used it, too, on potatoes, before cutting them up and baking them. I like your "smashed" taters phrase. Cheddar cheese in the mix is a good idea, too. Love all your ideas! Glad you read this one! For those of us that burn our water when trying to boil it, you can try microwaving the 'taters. Make sure your potatoes are similar in size, t'ough, otherwise you may get some that are overcooked or undercooked. Microwaving taters are great for fries (cut them after they're cooked, and put them in oil to make them crisp), chips (same as fries), baked and mashed/smashed p'taters. Like you, I also love to put sour cream in the smashed p'taters ("smashed" gives it character). You may also want to try putting extra sharp cheddar cheese in the mix for a truly decadent and hearty side dish. I will try this recipe.i like potatoes and specially in India stuff potato fill in chapati is very famous. TransferAmerica--I hope you DO try it and like it. I love it! kims--Glad you found the recipe. Hope you enjoy it. Let me know if you have a chance! Just what I was looking for. Great recipe! Printing it right now so I can make them this weekend. Thanks! That's great, Mama Isa! I'll have to check out some of your recipes! Oh yes.... Actually I am a cooking classes teacher at my home in Padova, near Venice (Italy). Yes!!!!! Do you like it???? your mashed potatoes are very nice...... Brava!!!!! nina64--I hope you do try it and enjoy it! itsmonkeyboy--I love garlic, too. You could even add more if you'd like! Horseradish sauce sounds interesting! The best things about leaving the skins on is that it makes the recipe much easier! And healthier! Try it! Great recipe. I'm a big lover of garlic and in the past have infused onion with garlic and added this to the mash. These days we tend to use horseradish sauce in the mash. I have to say though your recipe sounds fantastic, and I haven't really considered leaving the skins on. That I shall have to try. 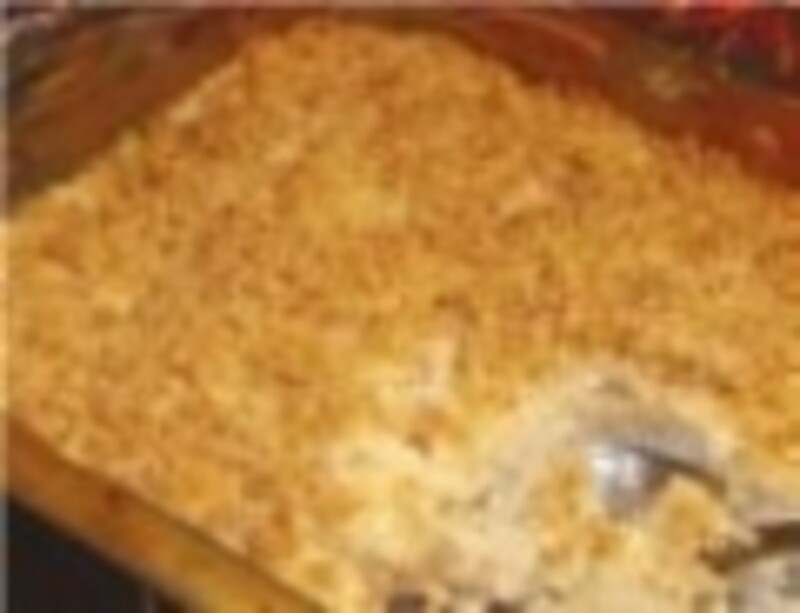 Thank you for sharing a great recipe and hub. This recipe sounds yummy!!!! I will be sure to try this one. I love mashed potatoes too. Carrie--It's especially easy since the potatoes don't have to be peeled. I love that part of it! And they're just darn good, too. Thanks for bookmarking! Then you will be a king, my Lord, when you eat these potatoes! Reminds me of my mom, too, although these are vamped up a bit! Good with meat loaf, too, for sure. Great that you stopped by, LORD!!! hey victoria it seems to be so easy!! even i can make it :)) def up for a try bookmarked!! A recipe for a king and this really means a lot; is a gift for us to have. We love mashed potatoes too! Take us back to when we were spoiled by mom. We used to add it to our loaf of meat..yummy..yummy! Thanks for the share Victoria sweet heart! I love them, Jackie! Yummy, yummy. I make these mashed potatoes quite often. Thanks for checking out my recipe! Wow this sounds great and makes me want to experiment with this. I am hungry just reading it. Thanks! Oh and I have heard cooks say the potato water is better than milk. Maybe has nourishment in it too? OMG, chanroth! So glad that Google found it--that's exciting! When I check my traffic sources, I don't often see a lot from Google and am excited on the days that I do have quite a few from there. I do searches on Google and have yet to find a hubpage article. That's so exciting; I can't get over it, chanroth! And I hope you enjoy the recipe. haha. Cool that you found a hubber! OMG! I was looking for this recipe. I Google it and found your page. LOL. That is funny! I'm gonna book marked it and try it for Thanksgiving!! hahaha...I had a good laugh at my search and found you. Thanks, vocalcoach. I make them often! Cool, Susan, I'll check that out about the potatoes! Yummy! 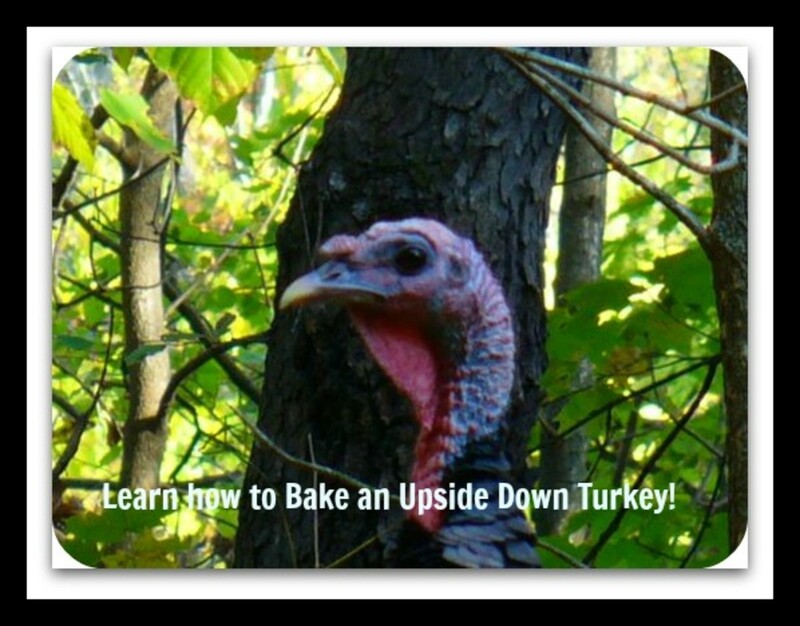 A good recipe just in time for Thanksgiving! I love it. Thanks so much. Voted up! By the way, Susan, I just noticed you're a "100" today. Congrats! I've gotten to 99 a couple of times but no higher. That must be a great feeling! Yummy! I should try more garlic--I love it! Have you also posted a recipe for mashed potatoes? If so, I'll take a look! Thanks for reading! I make garlic mashed very similar to yours. I use a bit more garlic than you do :) But next time I make them I'll add the sour cream, sounds great! Sounds interesting, epi. I make lots of chili in winter, so I'll try lots of garlic and honey! sounds great! thanks! It IS good, EPI! Garlic helps everything. Is the honey garlic chili recipe posted? Looked for it and couldn't find it. Perhaps you could share it again? Blue Rodeo, huh? Will check out soon on your recommendation! Oh, SOOOOO comforting, Dirt Farmer! I love mashed potatoes! Thanks for commenting! Will have to try your mix of ingredients. Have always used garlic softened in 1 stick of butter and whole milk or cream. Love them with the peel on. What a great comfort food! (And not just for the brokenhearted!) Voted up & useful. Yes, Ghaelach, the skin is the best part! And it tastes good, too. Actually, it's hardly noticeable to me with all the other great flavors in the potatoes. Love the spuds! Ah, Ireland. I hear it's beautiful. Thanks for your comments! Like the idea of leaving the skins on and mashing them altogether. The healthiest part of the potato is just under the skin which we all cut off. I spent a lot of time on my grandparents farm in Ireland and the old "spud" was on the table every day. Take care Victoria and have a nice day.